It’s my greatest pleasure, on behalf of the Organizing Committee, to welcome you to attend the 3rd India Nuclear Industry Congress 2017, which will be held on April 11-12, in Mumbai, India. 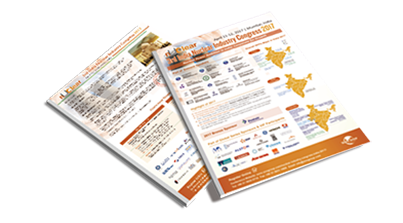 India Nuclear Industry Congress 2017 is the only nuclear energy congress in India discussing the hot issues both of new builds and existing NPPs, with special focuses on national incentives, nuclear liability: law, compensation & insurance, financing, investment &pricing, NPP updates, project management, R&D, supply chain, advanced technologies, as well as fuel cycle and waste management. India plans to produce 20,000 MWe of energy from nuclear sector by 2020 and 63,000 MWe by 2032. In the long term, nuclear power will supply 25% of its electricity by 2050. Indian nuclear energy development is featured with its parallel programmes. The well-known Indigenous three-stage nuclear programme is the base of Indian nuclear energy industry, and the import of LWR Reactors programme becomes its supplement. India planned to build 5 new nuclear energy parks based on imported technologies- each having a potential of producing 10,000 MW, at Kudankulam in Tamil Nadu, Kovvada in Andhra Pradesh, Haripur in West Bengal, Jaitapur in Maharashtra and Chhaya Mithi Virdi in Gujarat. Progresses are obvious after the establishment of Indian nuclear liability regime (Insurance pool in June 2015, Nuclear Liability Fund in January 2016, and Joining CSC in February 2016). The congress in Mumbai, will offer you a comprehensive coverage of the nuclear industry market with fresh project updates and various case studies. Meanwhile, for those who are keen to find new investment opportunities or strengthen their presence in the global market, especially the Indian market, this two days congress will provide plenty of opportunities to meet your future partners. I am looking forward to seeing you in Mumbai! Nuclear Ambition in India: Where does the money come from?